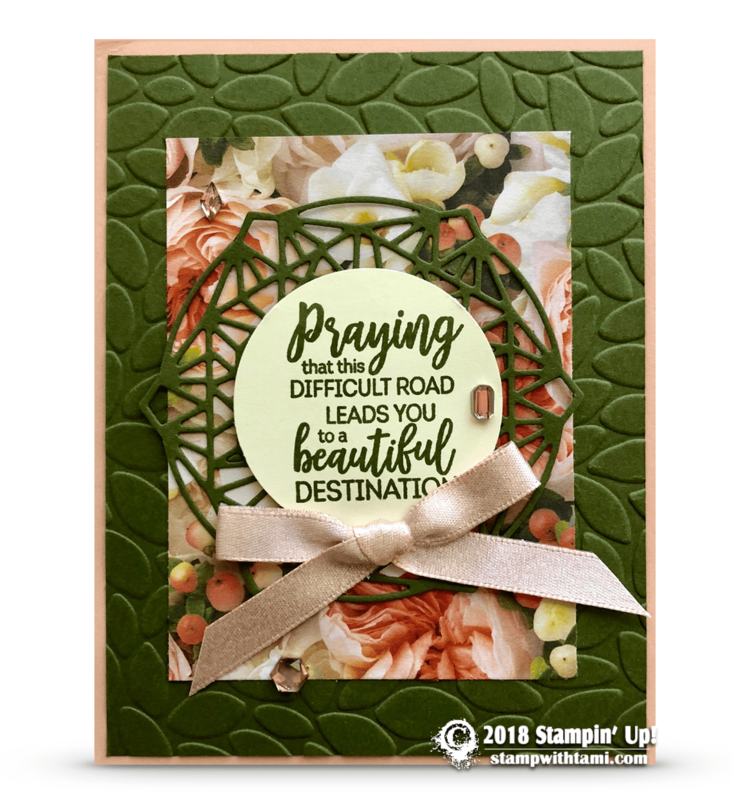 “Praying that this difficult road leads you to a beautiful destination” card sends an enlightening message of hope in times of turmoil. The words are from the Stampin Up Beautiful Promenade stamp set. The detailed designer cut behind the words is cut from the coordinating Beautiful Layers dies. The designer paper collection was also created to coordinate from the Petal Promenade series.